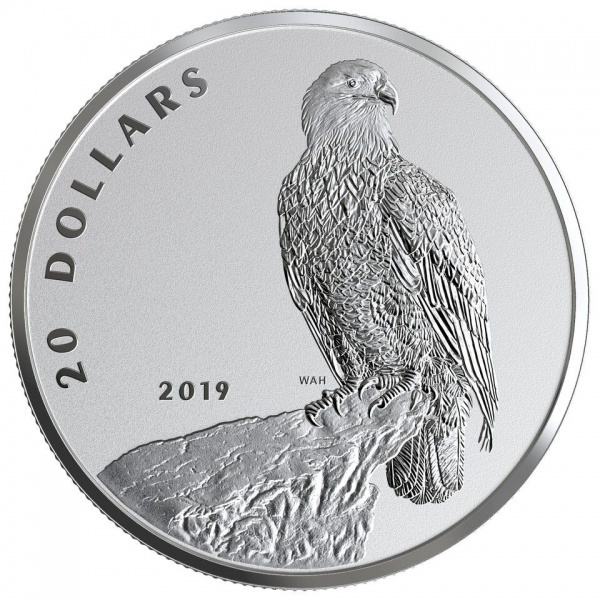 The Royal Canadian Mint has launched (8th January) new silver one-ounce coins which include a striking image of a perched bald eagle featured on the reverse side. 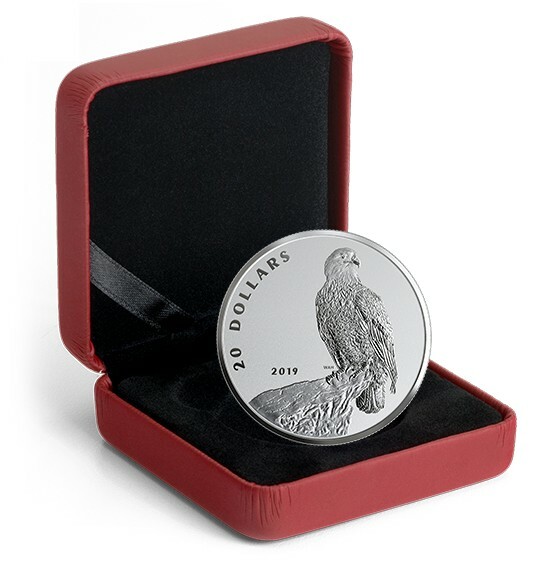 The coin highlights one of Canada’s birds of prey. The national symbol of the United States, Canada’s neighbour to the South, also makes its home in Canada. The bald eagle, known for soaring to incredible heights, is one of two eagle species found in Canada, but it is the only one that is exclusive to North America. In Canada, breeding populations of bald eagles are primarily concentrated in coastal British Columbia, which is adjacent to Washington state and upwards to Alaska, where these majestic birds live in great abundance. Aside from these raptors thriving on the West Coast of North America, large nesting populations are also found along the maritime province coasts of Newfoundland and Nova Scotia, and in the northern forests of Ontario, Manitoba, Saskatchewan and Alberta. Designed by artist W. Allan Hancock, the reverse side of this new coin features a traditional and familiar image of the valiant bald eagle, Haliaeetus leucocephalus. Standing tall, the raptor fixes its steely gaze on an object in the distance as it surveys its surroundings from its perch high above on a rocky ledge. The artist’s concept was based on his own personal photographs of bald eagles. The reverse includes the face value 20 DOLLARS and the year 2019. 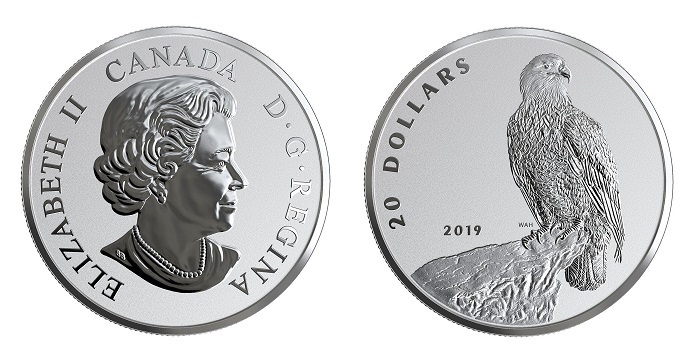 The obverse side features the effigy of Her Majesty Queen Elizabeth II created by Susanna Blunt and has seen on all Canadian circulation and many commemorative coins since 2003. The coin is struck using a Reverse Proof technique which utilises a matte field that amplifies the natural shine of the engraved relief. 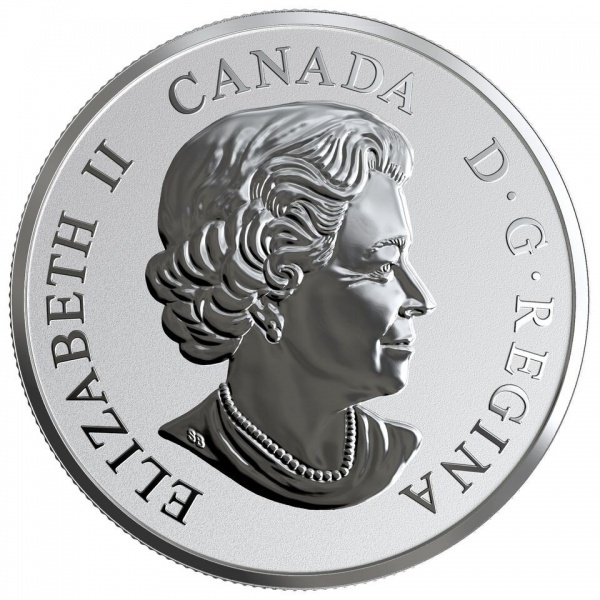 The coins are individually encapsulated in a Perspex container and presented in a custom Royal Canadian Mint-branded maroon case which is accompanied by a numbered certificate of authenticity. For more information about this coin and others available from the Royal Canadian Mint, please visit their website.